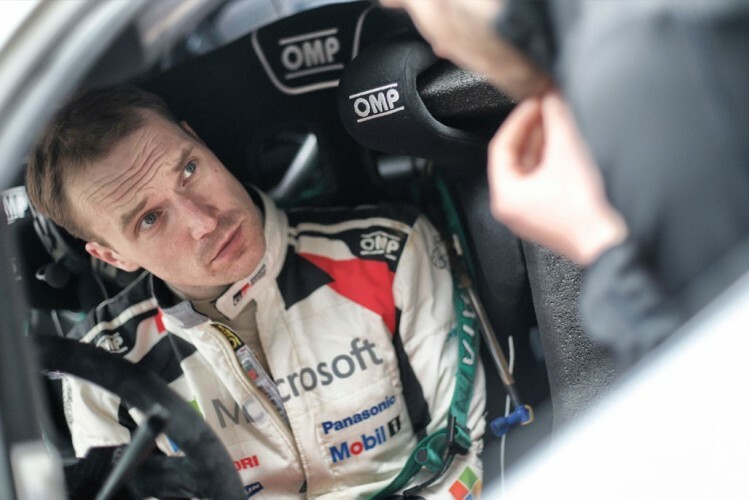 Following a tricky start to the rally for everybody on Friday, Saturday was much more straightforward, with all the scheduled stages completed. Both TOYOTA GAZOO Racing WRT crews took advantage of the longest day of competitive action to end up separated by just 0.3 seconds in sixth and seventh places. The team’s engineers resolved the overheating issues encountered yesterday, allowing the drivers to push harder, although ambient conditions were also cooler today. As a result, Jari-Matti Latvala and Juho Hänninen enjoyed perfect reliability and are in a position to both score driver points. Unusually, some rain and damp sections were forecast for Saturday, which meant that Jari-Matti chose soft tyres. But the rain never came until the evening, which meant that he had to prioritise looking after his tyres rather than extracting maximum performance. No longer first on the road, he benefitted from cleaner surfaces to end the day sixth overall, despite a puncture on SS11 after sliding wide. Juho was still affected by the flu he has suffered from throughout the rally. Despite not feeling very well, he hung on bravely to end the day seventh, with no mechanical issues on his Yaris WRC. A key factor in Mexico is high altitude, with the route climbing to the season’s highest point of 2,737 metres above sea level. The higher the altitude, the thinner the air, which has an effect on the engines. On one hand, the lack of air pressure reduces power by 20 per cent or more. On the other, in thinner air the turbos spin faster. But another important consequence of the thin air is to reduce the efficiency of the cooling system. All these things put together provide a very big test for the engines on the new-for-2017 World Rally Car.